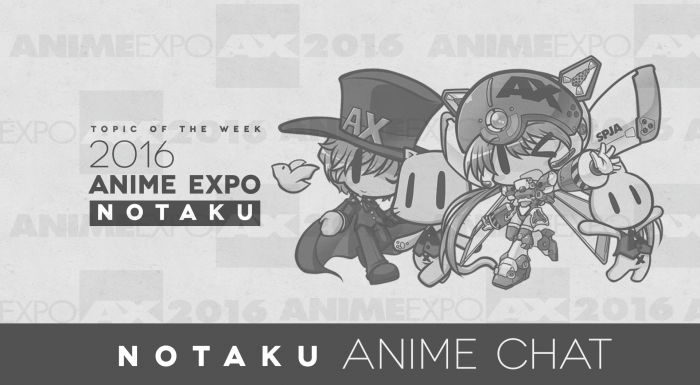 This week’s Notaku Anime Chat has Guardian Enzo talking about his experiences at Anime Expo 2016, with Setsuken chiming in with his own convention experiences. Opinions are shared on everything that happened at the big event. Plus there’s some general talk about Japan, that country’s Anime/Manga events like Comiket, and anime fans in general. Also yes, this video is a bit later than I’d like. We ran into some issues with YouTube and uploading, simply because the episode this week is our longest one yet, clocking in at 1 hour and 10 minutes or so. Take a look, like/subscribe and let me know in the comments on what you think of this week’s episode!